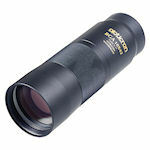 BGA Waterproof Monoculars are available in 8x42 and 10x42. They are fully multi-coated, have long eye relief, and focus to 6.6 feet. 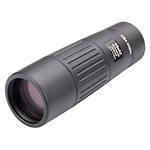 The Opticron DBA VHD-Plus Monoculars feature Optricron's proprietary Oasis prism coating and S-H type multi-layer coated ED (extra-low dispersion) lenses. 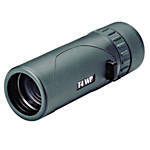 They are also fully weatherproof, ergonomic and have an excellent 4.9' close focus! Available in 8x42 and 10x42 sizes. Available in 8x25 and 10x25 sizes, black or green. Completely weatherproof and protected by rubber armor. Easy-slide focusing mechanism with excellent 4.9' close focus.